Chances are good that by the time you read this Exponential Hoppiness will be on sale at Alpine Beer Co. They’re set to release the latest batch of this super hoppy double IPA Friday, February4th at the brewery and pub in Alpine. They’ll have 22oz bottles to go for $8.99 each (limit of 6 per person/per day at the brewery, 3 per person/per day at the pub). They’ll also be filling growlers at the brewery and serving it for on premise consumption at the pub. They warn that they don’t want to see any growlers of Exponential Hoppiness for sale on “public auction sites” and if they do they’ll stop filling growlers. I’ve never had Exponential Hoppiness, but am hoping to get a chance to try it this time around. I’ve heard a few people compare it to, and some even say it’s better than another sought after and rare hoppy beer that’s being released soon, Pliny the Younger. I can’t vouch for that but sure hope to find out soon. I’d love to see one of our local beer bars put on a keg of Exponential Hoppiness at the same time as PtY to let beer geeks taste the two side by side. They’re also set to release the latest batches of the Black IPA Ugly and the lower alcohol but still deliciously hoppy IPA Hoppy Birthday for growler fills at the brewery and on premise consumption at the pub next week, February 11th. 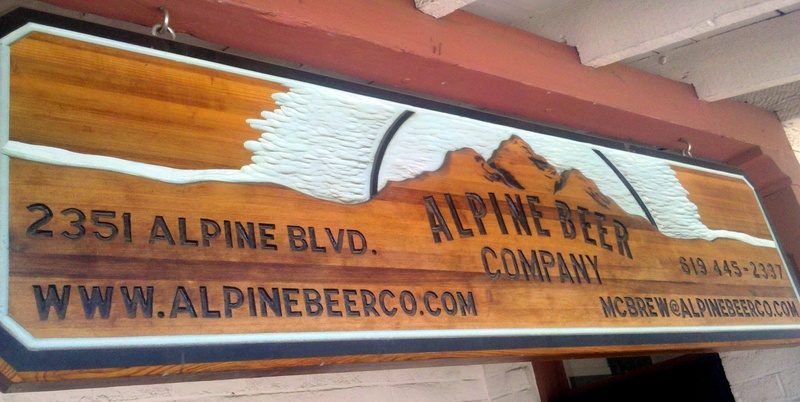 Head on over to Alpine Beer Co.’s website for all the details.